Lash Extensions with Sasha – A Beginners Guide to Lash Extensions. We had the true pleasure of going to visit Sasha at Prime Lash Bar in Brooklyn. We visited her for a fresh set of Russian Lash extensions and to speak more about her business. 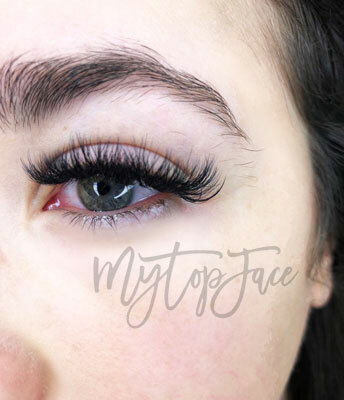 While we are no novices with the process of lash extensions, we realized that some of our readers might have questions about this procedure and we wanted to go into detail about finding the perfect lashes for you! 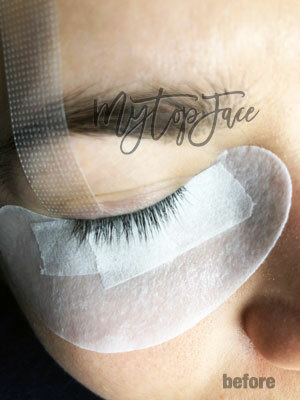 So, are you wondering if you should hop on the lash extensions trend your self? It seems that every celebrity from Kylie Jenner to Beyonce is! However, the process can often be intimidating for first-timers leaving us with many questions! What length do I choose? What curl? What shape? What material? What provider? Lash extensions are the process of placing false lashes over your natural lashes, individually to create a more luxe look. The new lashes will be dipped in glue and placed one by one onto your own. These extensions should last the length of your actual eyelashes life cycle which normally is about 3-4 weeks. Each of your lashes is on a different growth cycle and each person’s lashes shed differently due to lifestyle. You can expect to see some lashes fall out right after treatment, and then daily until your next refill is needed. The extensions should fall out with your natural hair follicle re-replenishing itself and should not be thought of as a sign of faulty extensions. You naturally lose your lashes, you just normally don’t notice! There are a ton of different types of extensions which can get a bit confusing if you are choosing for your first experience! Below are some details you might find helpful on your first visit. There are several shapes to consider “C” curl is the most straight lash think of what you see on Kylie Jenner! “CC or B” is a middle ground with a slight curl (think if you curled your lashes one time) ** this is what our MyTopFace beauty expert chooses for time and time again. “D” a sharp curl, we would not recommend this to first timers as it can be a bit severe! After this is settled you can also consider the length you are looking for. For major drama like our lashes, you’ll be looking for a length that goes up to 14. If you want a more natural look you might want to start at a 10 and work you’re way longer during refills and follow-up appointments. Then you must consider the type of lash you want! Mink lashes tend to look the most natural and hair like. Cashmere is a new alternative that has a similar effect. Silk lashes are a bit more rigid and stiff. The last alternative is Synthetic, this is suggested if you might have allergies to the other alternatives or have sensitive eyes. We have found that it is best to work with your technician to achieve the best and most flattering for your eye shape. It’s also a great idea to come in with a photo of someone’s lashes that you really like. Given this feedback tour technician and you can work to build this style into something that works for your eye shape and size. You’ll also hear a lot of words thrown around in reference to the number of lashes you’ll receive. You absolutely will need to consult with your lash artist to see what is best for your face, everyone has different needs. A normal set is normally referred to as volume, a set with dimension and layers is a Russian volume and for the most drama, you’ll be looking at a mega volume. 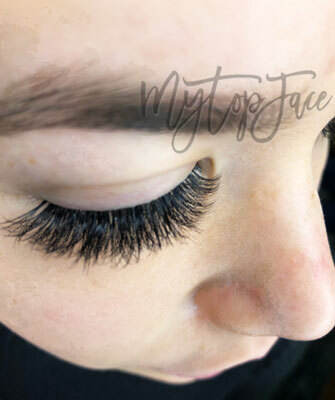 Some salons also offer you to select the number of lashes you will receive and you should consult with your lash artist to best fit your needs. 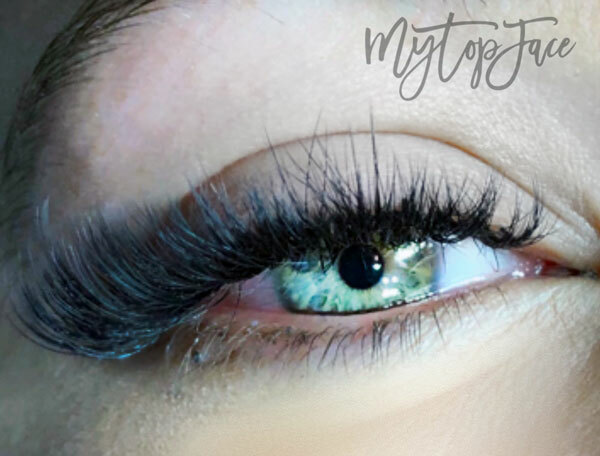 One thing we think is incredibly important to note prior to heading to get your lashes done is that they CAN NOT get wet or be in extreme heat for 24-48 hours after application. It’s imperative to the success of your extensions to make your appointment at a time when you will not be jumping in a pool or doing Hot Yoga for the days that follow. You might be allergic to the glue. It’s rare, but some people do experience a reaction to the adhesive used. If this is your first time your applicator should do a test to make sure!! One other consideration is that this process does have a lot of up-keep. You will need to go every 2-4 weeks so this needs to be a part of your routine. Now onto our experience with Sasha at Prime Lash Studio. Sasha is based at Prime Lash Studio in Brooklyn. She just opened the salon in November of this year which is an exciting new development in the local beauty scene. Sasha has been doing nails and lashes for a long time and also runs a nail salon called Nail Service Salon, where she specializes in acrylic nails and nail art. Within her studio she also employs a permanent makeup artist, making her a one-stop shop for your glam needs. Sasha certainly took her time with our lashes ensuring that each lash was perfectly placed to create a lush shape. We had our initial consultation and she decided on a Russian volume set for our expert. The expert showed her a photo of Kylie Jenner’s lashes for reference in shape and style. Sasha used mink lashes in 5/8d with a length of 9-14 using the CC shape, which certainly achieved the effect we were looking for. Our beauty expert was able to pop in headphones fall asleep during our session. We left the salon with a lush fresh set of lashes! Sasha is certainly an artist and has an understanding of the client’s needs and shape to ensure the maximal results. Our team would certainly recommend stopping in for a fresh set if you’re in the neighborhood.